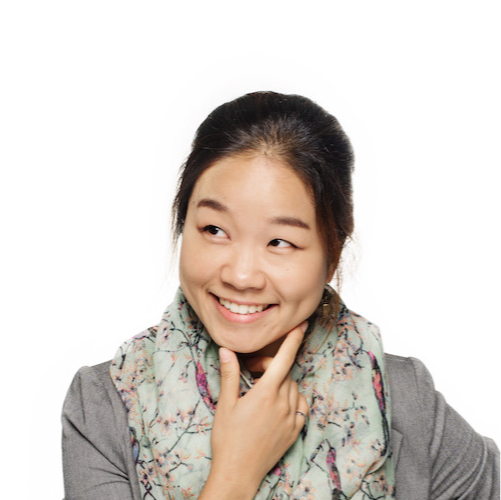 AJung is a roboticist with over eight years of experience investigating the ethical and social implications of robotics and AI. She is an internationally recognized expert in her field, and has been heavily involved in the shaping of global policy and discussions surrounding artificial intelligence and autonomous systems. Her proactive leadership in technology and ethics, combined with her experience as a human-robot interaction researcher, allow her to provide practical, actionable recommendations for Generation R clients. She often finds herself amongst ethicists, policy makers, and legal scholars in different corners of the world. As the Director and a founder of Open Roboethics Institute (ORi) – a think tank that has been spearheading roboethics discussions since 2012 – she has a unique set of experiences that inspired her to address roboethics and AI ethics needs for both the public and private sectors. With Generation R Consulting, she dreams of translating AI/robot ethics into actionable solutions and decisions for the users and developers of the technologies. She is one of twenty members of the International Panel on the Regulation of Autonomous Weapons – a joint effort between Johns Hopkins University Applied Physics Laboratory and The German Institute for International and Security Affairs (SWP). She is an executive member of the Executive Committee of the IEEE Global Initiative for Ethical Considerations in Artificial Intelligence and Autonomous Systems. Within the IEEE initiative, she started and co-chaired the Committee on Embedding Values into Autonomous Intelligent Systems. As a chairwoman, she led the group of thirty global thought leaders to identify key issues and help develop standards that pertain to the design/deployment of autonomous intelligent systems. She frequently serves as an expert panelist, speaker, and guest lecturer on roboethics for the public, corporate executives, the Canadian government, and various international organizations (United Nations CCW, OECD, ICRC). She co-lectured a graduate level course at the University of British Columbia on robot ethics with Prof. Machiel Van der Loos. She was a Vanier Scholar during her graduate studies, and holds a PhD in Mechanical Engineering with a specialization in designing robots to better communicate and collaborate with people (human-robot interaction). She received her M.A.Sc. in Mechanical Engineering from UBC, and B.A.Sc. in Mechatronics Engineering and Minor in Philosophy from the University of Waterloo. To date, she has co-authored several conference papers, journal articles, and a book chapter on topics related to roboethics and HRI.